Conventional heat pump systems are known for poor efficiency and performance in cold temperatures. Today, thanks to the integration of INVERTER-driven variable speed compressor technology, highly-efficient, modern heat pump systems offer homes optimized comfort conditioning no matter the season or temperature. When utilizing a zoned HVAC configuration, each heat pump system consists of one or multiple ducted or ductless air handlers and an outdoor condensing unit. One outdoor unit can control up to eight indoor units, providing personalized temperature control, in each individual space, depending on the occupant’s preference. Refrigerant lines connect the indoor unit to the outdoor unit. During summer, the system produces air conditioning when refrigerant absorbs heat energy from inside your home and expels it outdoors. During winter, the heat transfer process reverses as refrigerant extracts heat energy from the outside air and transfers the heat inside to warm your home. With the outdoor unit operating with INVERTER-driven compressor technology, the system speeds up or slows down to match the precise cooling and heating requirements of the space, keeping efficiencies high and costs down. Summer and winter both bring extreme temperature conditions. While conventional heat pumps were mostly used in mild climates, today’s technology is so advanced that heat pumps are a sought-after solution for many regions, including those with extreme weather conditions. With hyper-heat technology, the compressors of modern heat pumps can extract heat from outside air to warm homes even in negative outdoor temperatures. Having clean, healthy air free of pollutants is of the utmost importance for all walks of life, particularly in the home. Unlike traditional HVAC systems that filter indoor air in one central location, the indoor units of zoned heat pump technology filter air within the individual spaces being conditioned. Many air handlers today even offer advanced air filtration, further improving the quality of your family’s indoor air. 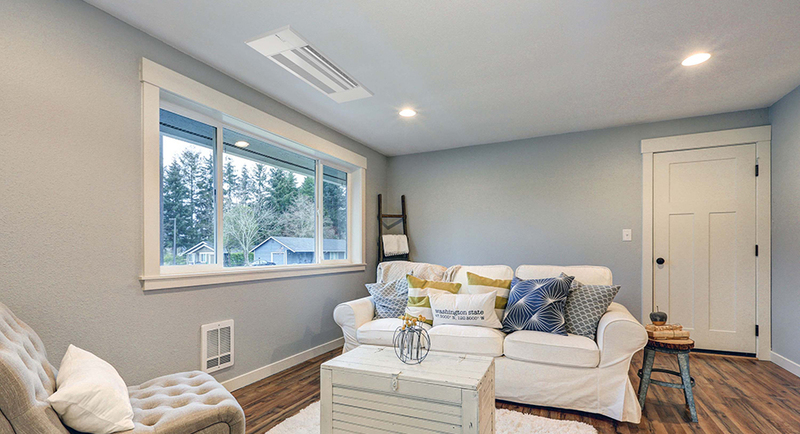 With both ductless and ducted air handler options, heat pump systems offer families customizable comfort and reliability that fit any aesthetic. Don’t wait. Choose this whole-home solution to achieve healthy, energy-efficient conditioning.